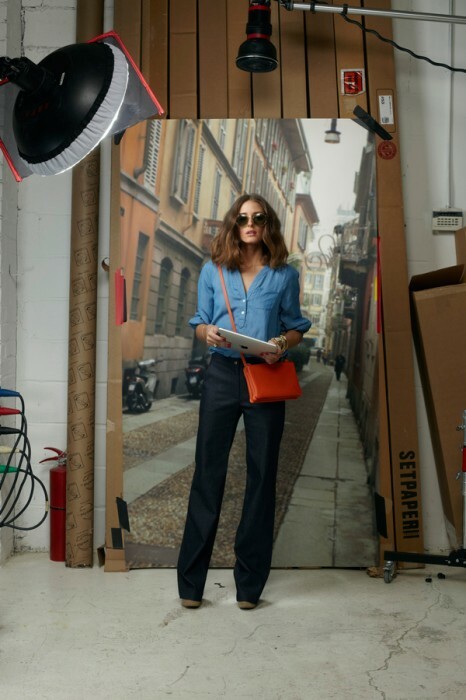 Tibi's newest Spring 2011 campaign asked former reality tv, "City" star Olivia Palermo to hand-pick her favorites from the Tibi closet and pose in front of backdrops reminiscent of choice blogger snapshot locales. Oooh, Olivia was a girl I loved to hate! She was aloof, stuck up, dishonest, cut throat, back stabbing, need I say more? Yet, in this Tibi campaign, she got my attention, the good kind! I love it! Tibi likes to live by the terms “fashion is fun, don’t take it too seriously”.